From live-action billionaire Arthur to the computer-generated E.B. 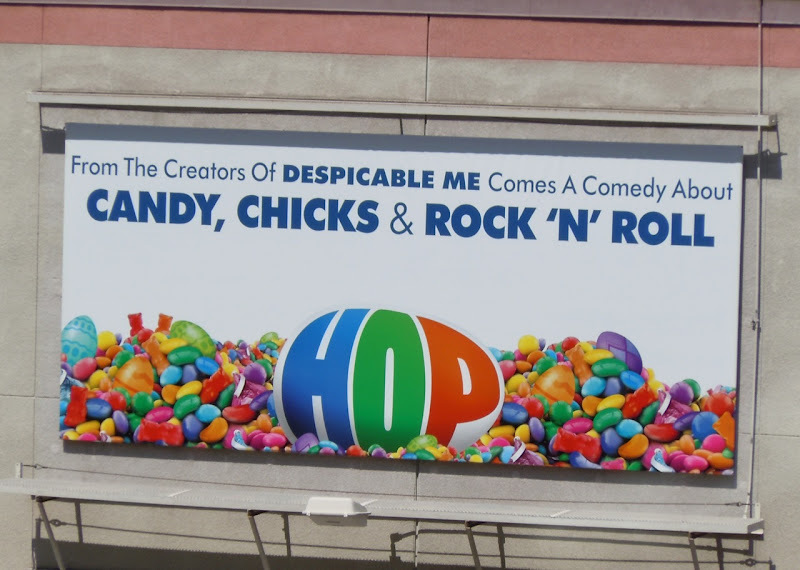 in Hop, Russell Brand certainly is keeping everyone entertained this month. Here's his wannabe drummer E.B. 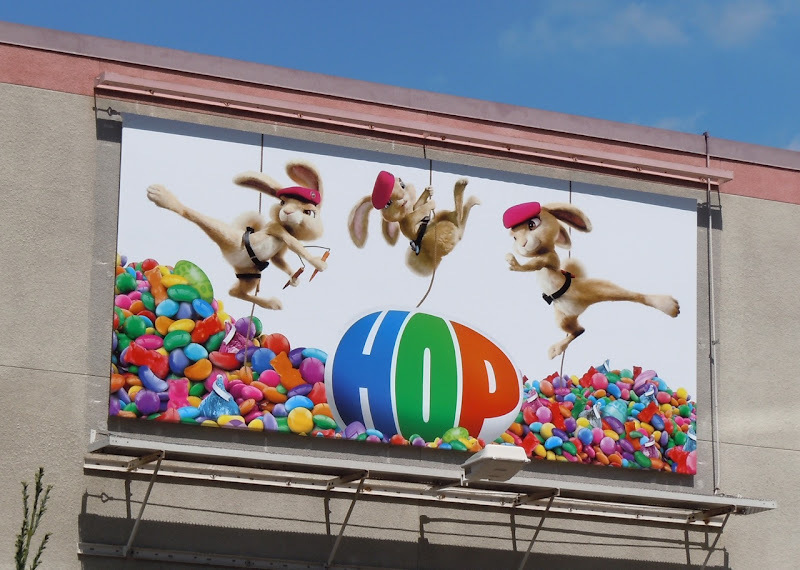 (the Easter Bunny's son), his Easter chick friends and the ninja royal guard, the Pink Berets, amidst mountains of colourful candy. 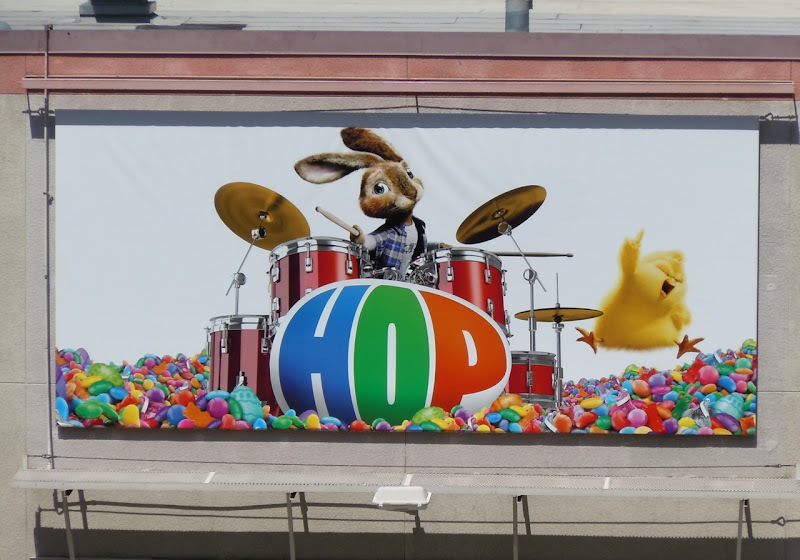 These Easter-themed billboards were snapped at the Universal Studios Hollywood Lower Lot on March 28, 2011. 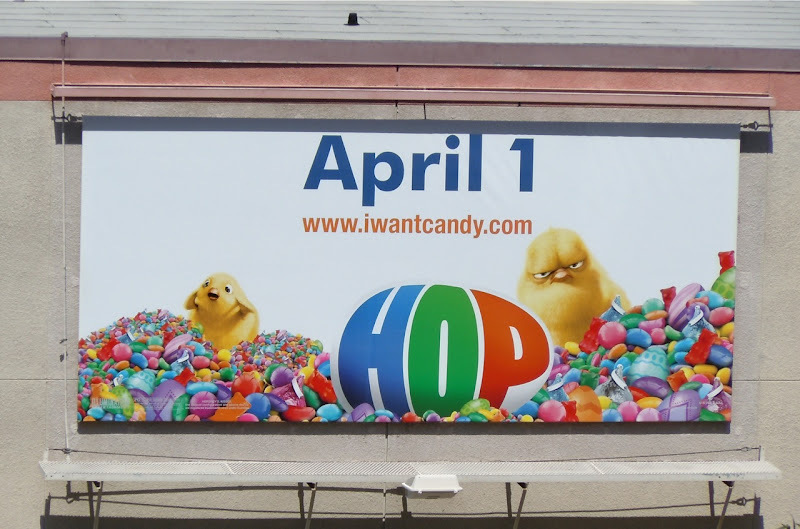 If you're a fan, be sure to check out more Hop movie billboards here at Daily Billboard.